Just like any other pension scheme, one of the advantages of a SIPP – or self-invested personal pension – is the tax benefit. The amount of SIPP tax relief allowed is determined by how much you earn and which tax class you are in. Any personal contributions made, up to the amount that you earn, are given a basic tax relief rate of 20%. This means that if you pay £800 into a SIPP account, another £200 will be put in by the government in order to boost it up to £1,000. If you pay a higher tax rate, the rest of your SIPP tax relief will need to be claimed back through a self-assessment tax return. For example, if you pay 40% tax as a higher-rate taxpayer, you would then have another £200 to claim back. A SIPP differs from a company pension in this respect, as it essentially puts some money straight back into your pocket. It is important to be aware that the maximum you can save in a pension is £1 million, which is called your “lifetime allowance.” This is calculated across all pensions – except for the state pension. The money in your SIPP also grows free of capital gains and income tax. However, there may also be other fees attached to your SIPP, according to your provider, and you are unable to access the money in your SIPP until you are at least 55 years old. If you enjoy and are comfortable making your own investment decisions, opening a SIPP could be the right option for you. It is important to note that SIPPs require more hands-on management than a normal pension scheme, as they are essentially a “wrapper” around your investments, holding them together until you are ready to retire. SIPPs allow you to hold funds, investment trusts, corporate bonds, shares, and cash in one account. 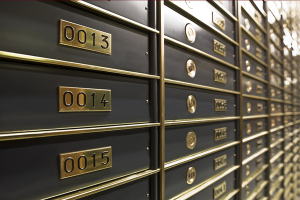 Other investments – such as gold bullion – can also be held in a SIPP although, depending on your provider, other charges may be incurred for more niche investments. If you are interested in opening a SIPP, it is important to shop around for the best option for you. Different companies offer different charges and fees on SIPPs, all of which can affect how much money you have in your account when you reach retirement age. It is also important to note that a SIPP is an investment plan intended for retirement, and just as with other investment plans, there are risks involved. The value of investments can fall and rise, so it is possible to get back less than you invest. Please make sure to seek advice should you need it, and be aware that any SIPP tax benefits are dependent on your individual situation. However, if you are comfortable investing and enjoy doing so, a SIPP pension plan can be a worthwhile addition to any pension plans you may already have in place.